Another Hyundai Sunroof Shatters Spontaneously — Auto Expert by John Cadogan - save thousands on your next new car! Hyundai has a significant issue with the integrity of its glass sunroofs. My strong recommendation is: Don't buy a car with one until the issue is resolved. Back in December 2012 Hyundai recalled about 13,500 US Velosters with potentially defective 'panorama' glass roofs. In February 2013 a further 6071 Velosters were recalled for a similar defect. Almost 900 Australian Velosters were recalled as well. On January 20, 2014 a Victorian woman named Madie Ross was driving her 2010 Hyundai i45 when its panorama glass roof spontaneously shattered. Hyundai's customer service response was disgraceful, as was the local dealer's (Ferntree Gully Hyundai, Victoria - you'd be steering clear of them). Read the Full story on the Madie Ross i45 incident here. Hyundai described the Madie Ross sunroof incident as "isolated". Well, it just happened again. Today. This time on a 2010 ix35, this time in Queensland - on a six-lane highway, with mum and kids in the vehicle. A violent, spontaneous glass roof implosion. The noise was so loud the owners called the police, who found no evidence of a projectile. This the second such incident in about two weeks. "It was only through luck that they all weren’t injured by the falling glass and/or the potential accident for my wife to pull over in heavy traffic on a six lane highway ... my wife was in a terrible state due to the shock of the noise and the glass, so I had to rush to her and then drive the car and kids home ... my wife refuses to take our two precious kids in a car with a glass roof. There is nothing that Hyundai can say or do that will convince us that the same problem won’t occur again, and we won’t place our children in this potential danger." Brett Cowan, Hyundai ix35 owner. Read Mr Cowan's full statement in the comments section of the Madie Ross post. It's time for Hyundai to admit there is a problem with its automotive glass. Hyundai's 'nose-jerk' reaction to the media spotlight that flowed from the Madie Ross incident two weeks ago rectified to some extent the company's terrible customer service Ms Ross received up until the radio and TV coverage. But this turnaround did not extend to any admission of a problem with its automotive glazing. In fact, in my view, the company whitewashed the whole incident. The official statement dripped with hyperbole, but was very short on substance - a kind of 'PR in the beer garden' version of dealing with a problem that has now officially snowballed. The full statement is here on Channel Seven's Sunrise website. For completeness I should tell you that I'm Sunrise's motoring expert, and I was interviewed on the Madie Ross incident. Hyundai is gun-shy of potential defects and the high-profile oxygenation thereof because the company's executives know it will reinforce the default supposition of many otherwise potential customers: That, deep down, the quality's not on par with the Japanese. Even worse, Hyundai supplied Ms Ross with an appalling 'independent' report into the i45 incident. I obtained a copy of the report, which was produced by Automotive Sunroof and Trimming Services of Oakleigh, Victoria. The business, among other things, is an aftermarket sunroof installer and upholsterer. The author is the (un-named 'senior sunroof specialist' - qualifications unknown). Download the report here. It's about half a page long - but what it doesn't say would fill a book. The report seems to say that because there are some stone chips on the four-year-old i45's grille and windscreen, a projectile is responsible for the demise of the glass roof. It's a bit light on for logic right there. 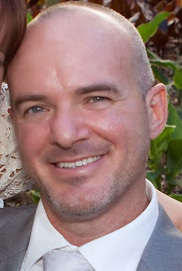 "a stone or foreign object [broke the sunroof after it was] reflected to the sunroof glass panel, causing it to break" Phillip Neal, Director, Automotive Sunroof and Trimming Services (from the report). Isaac Newton would be rolling in his grave. I have a degree in engineering. It's impossible to conceive of any scenario in which this kind of impact is possible. I studied projectiles, fluid dynamics, aerodynamics, Newtonian mechanics (applied physics) for six long years. But perhaps I missed the bit where this was possible ... perhaps being a journo has dulled my brain. Then I found Professor Tarek Zohdi - a professor of mechanical engineering at the UC Berkeley in the USA, one of the world's most prestigious technical academic institutions. On request following a similar incident in a BMW, Professor Zohdi has studied the feasibility of a rock being flung up by the tyres of another vehicle and its ability to break an automotive sunroof. He has concluded this is impossible. "There is not a chance in the world that an unintentional rock that is lofted by a vehicle would ever break a sunroof panel ... in my opinion the car manufacturer has the problem; basically it's a manufacturers defect." 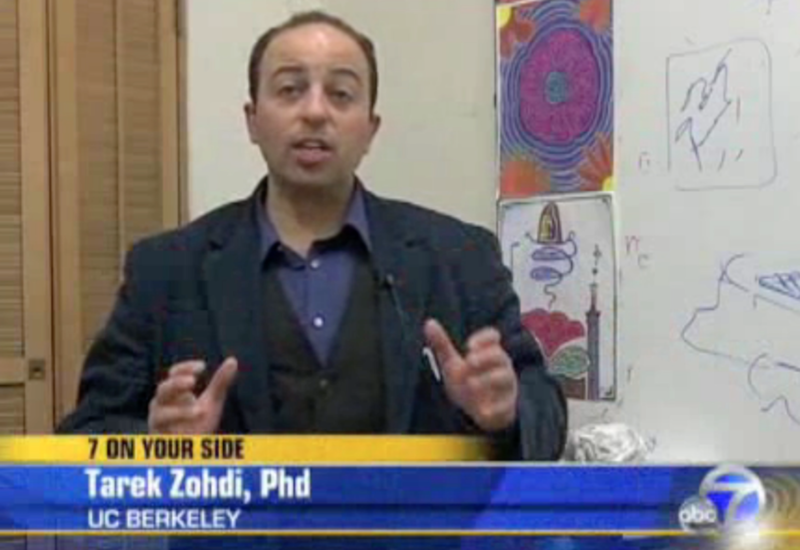 Professor Tarek Zohdi, UC Berkeley. Read the full report, with Tarek Zohdi video, here. So, in summary, on one hand you have a professor at one of the most prestigious technical institutions in the world who says projectile impact leading to shattered sunroof isn't possible. On the other you have a suburban sunroof installer and motor trimmer - probably a very good installer of such things, but who clearly does not understand projectile dynamics - claiming a projectile did it. Yet there's no evidence of projectile impact on or near the sunroof in the Madie Ross matter - nor, according to Mr Cowan and the police who attended his incident today, in today's incident either. Measuring the thickness of the glass in the Madie Ross case, and comparing that to the manufacturer's specification. Measuring the roof aperture and comparing its critical dimensions to manufacturer's specification. Verifying the operation of the sunroof mechanism, nor the 'locked' position for specification compliance. Interviewing Ms Ross (the only adult present during the incident) and reviewing Ms Ross's version of events. Measuring the body integrity for flexture under normal highway driving inputs. "We selected an expert in the field of sunroof installation in Melbourne (30 years experience) and requested their independent assessment - ultimately we wanted to know if it was a manufacturing defect or other situation. Their findings state that the vehicle has received some sort of impact damage causing the sunroof to shatter." John Elsworth, Chief Operating Officer, Hyundai Australia. "I'm sorry you seem to disagree with the process followed, however, I'm comfortable we have followed a robust and transparent one." John Elsworth, Chief Operating Officer, Hyundai Australia. Here's the newsflash, Mr Elsworth: if the report were robust, as you claim, in my view it would have at least addressed the six bullet points above, and been prepared by someone with more than a passing appreciation for projectile dynamics. It is not possible for a projectile to hit the windscreen with insufficient energy to break the windscreen, then rebound to a height sufficient to acquire the energy it would need subsequently to break the sunroof. Even if it could, it would be swept away by the 100km/h incident airstream, relative to the car. This is not a coherent working hypothesis. The issue isn't about agreement or disagreement - opinion's not part of it. In short, the report's a whitewash, incompetent, or merely incomplete. When I spoke with Ms Ross about her version of events, she categorically repudiated the 'projectile' hypothesis. "It was not a projectile. I will not accept that conclusion. I remain extremely concerned about putting my children back in that car and having the same thing occur again - only next time with a worse result." Madie Ross, Hyundai i45 owner. We've got Hyundai's sister company, Kia, currently under investigation by federal regulators in the USA for spontaneous shattering of the glass roof in its Sorento model - which if proved could effect the recall of 65,000 vehicles. 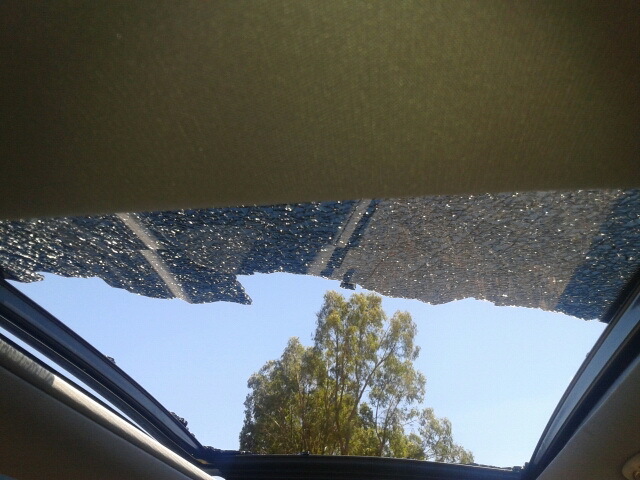 And we've got a trimmer and sunroof installer who says it was a projectile - but who can't produce the projectile. Or any credible evidence that one impacted the sunroof at that time and place. Occam's Razor says: Hyundai, you've got a problem. A low-probability problem, certainly, but a high consequence one from the perspectives of being a potential catalyst for road trauma and also potential brand damage if handled poorly. Just playing devil's advocate here: If it really is projectiles doing this - which I don't accept, but let's humour Mr Elsworth and Mr Neal from Auto Sunroof etc. - then the Hyundai glass roofs are simply not durable enough for routine driving, and lives are needlessly at stake as a direct consequence of their vulnerability to failure. Imagine overtaking a B-double, having the glass roof implode, and getting a face full of glass at 110km/h on the wrong side of the road, and being blinded for crucial seconds, because the intrinsic design and/or construction are under-done. Whichever way this two-headed coin lands, the issue remains an Hyundai durability problem. 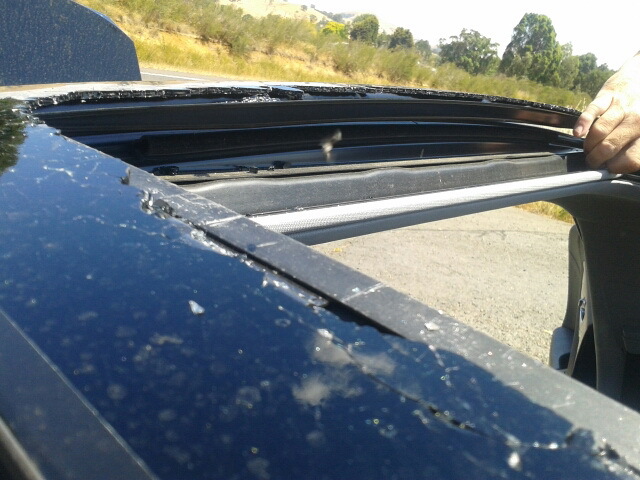 Maybe the company needs to switch to laminated glass sunroofs. It's time for Hyundai to stop with the spin - the 'Bill Clinton/Monica Lewinski' approach to this issue (redemption by press release) won't fly for ever. It's time for Hyundai to get out on the front foot with this problem - before somebody gets seriously hurt. Or worse. Lives are clearly at stake. Which Small Hatch Should I Buy: Hyundai i30, Mazda3, Honda Civic or Toyota Corolla?